As from October 1st, 2018 new rules are in place for those landlords or property investors who wish to enter or expand their HMO (Homes of Multiple Occupation) portfolios. 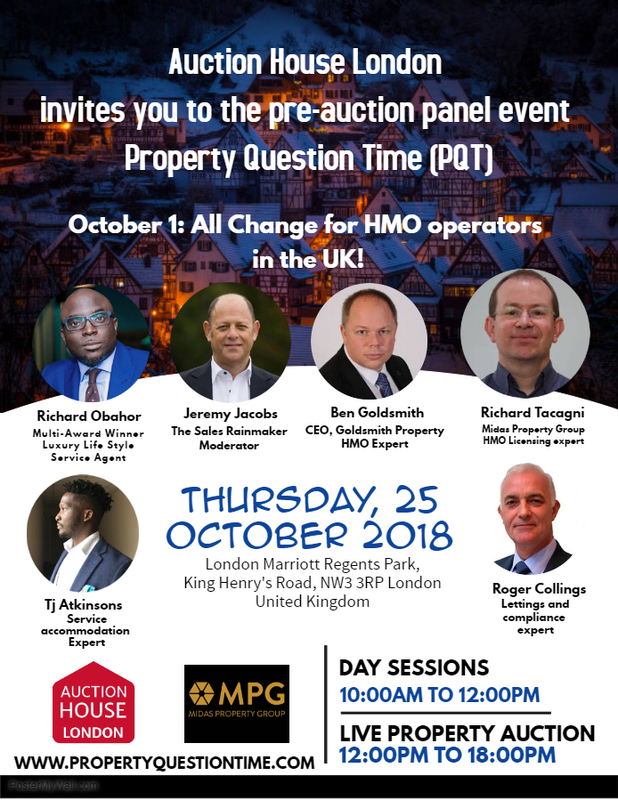 The Midas Property Group are organising a special Q&A session for this very important topic. The event starts at 10.00am and details can be found on the Eventbrite page. You’ll see that this precedes a property auction run by Auction House after the lunchtime break. You can also visit the Property Question Time (PQT) website. I’ve been fortunate to have MC’d or moderated previous Midas Property Group events and tomorrow’s Q&A as in the past, will I’m sure, be well attended.